This book is a labor of love and hate. 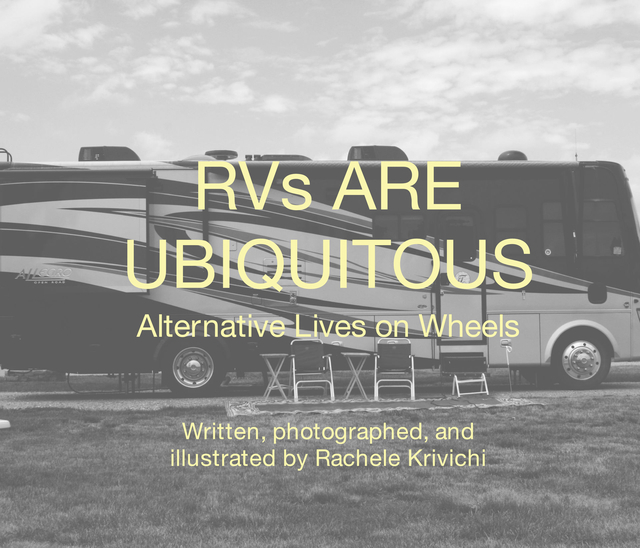 I started out with the intention of writing a book about the evils of RVs, but somewhere along the way I learned to appreciate the freewheeling spirits who live "alternative" lives on the road. In the pages of this book you will find an interview with a professor who turned an old bus into an artist residency, a couple who created an entirely "green" RV, and many more. This hybrid coffee table book/ zine/ essay compilation will surely become one of your favorites. Illustrations and photography by me!